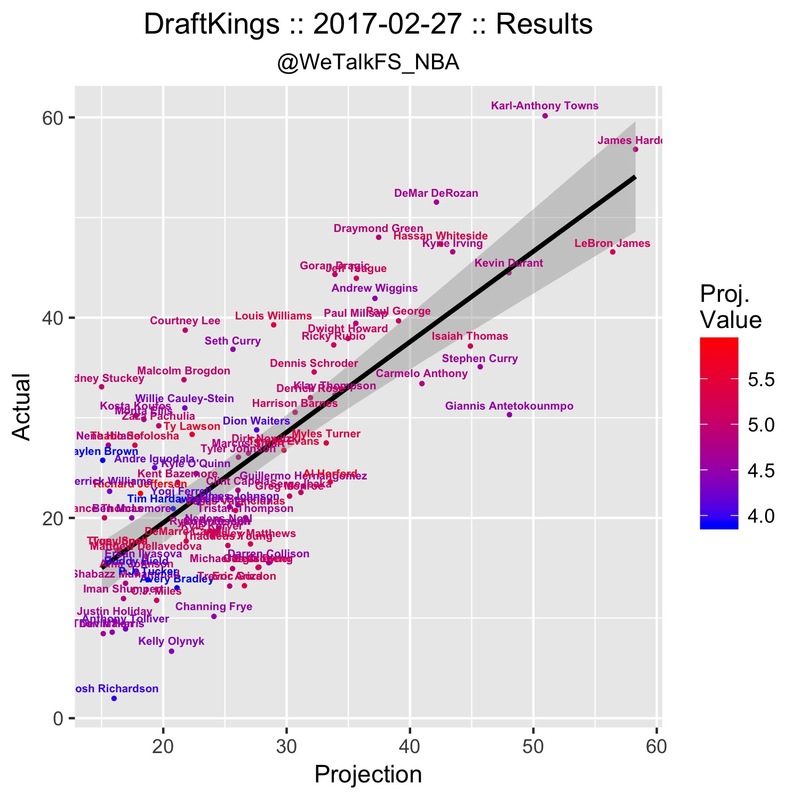 For each source, raw projections were converted to fantasy points using DraftKings's scoring system. 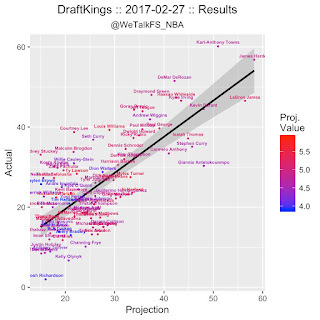 Consensus projections were then calculated by simply taking the average of the individual sources. Projections that combine multiple sources have been shown to be more accurate than any single source by itself, consistent with the wisdom of the crowd.